Lava XOLO X900, the world's first smartphone with an Intel chip, is officially launched in India now. Lava XOLO X900 is an Android 2.3 smartphone with 1.6 GHz Intel CPU, 1GB RAM and 8MP rear camera. 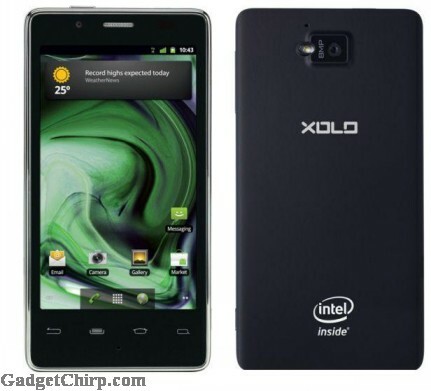 The price of Lava XOLO X900 in India is Rs 22,000. The full specs and features of Lava XOLO X900 are given below. - Burst Mode to Take 10 pictures in less than 1 second. If any from you are thinking to move for a new smartphone with new features. I would like to suggest you to get Lava XOLO X900. I got mine before 20 days and its really very good than my previous one. It’s the India’s first Smartphone with Intel inside is housed in a sleek design with a 4.03-inch high-resolution LCD touch screen for crisp text and vibrant images. And the another amazing thing is its reliable price. You can read its full specification on internet and after getting much detail about it you would definitely want to own it. Everything, I found, is very true about this device. And trust me guys you would also going to love this. Any revert back would be highly appreciated.